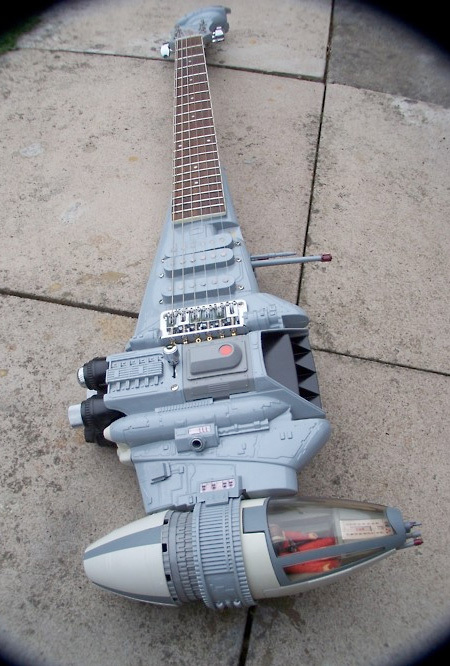 Unique guitars created by British guitar maker Tom Bingham look like iconic spaceships from the Star Wars universe. 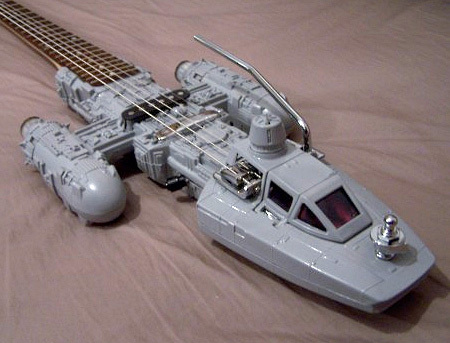 Star Wars toys are transformed into electric guitars. 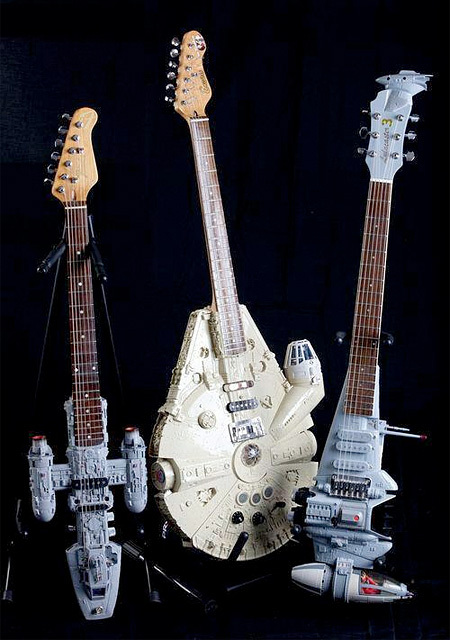 It takes almost three month to build each guitar. 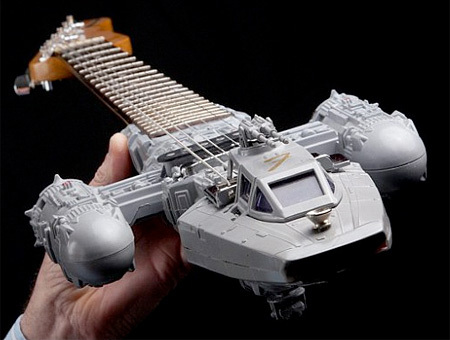 Creative “Spaceship Guitars” are equipped with bright LED lights. Better hope Lucas doesn’t find out. an illusion . the image model imaginary things. 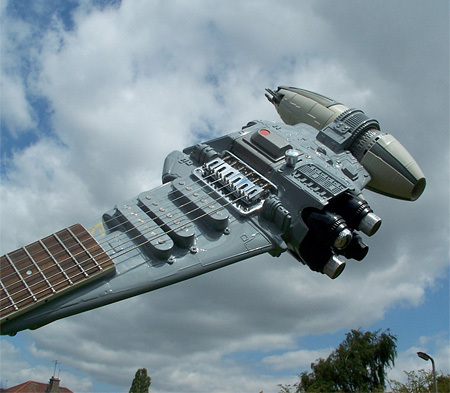 Don’t fly, and not for the music. Theatrical scenery. 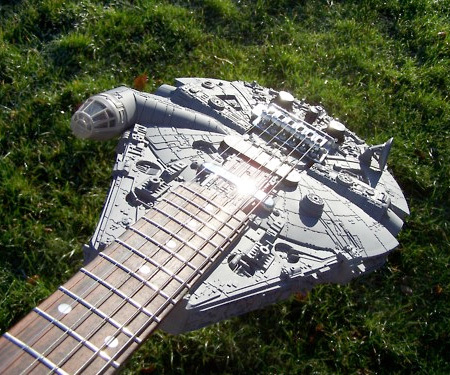 Where’s the Rebel Bass ?? The whole point of building a model kit is to paint it to look realistic. Good first attempt. Next time some actual paint would help. 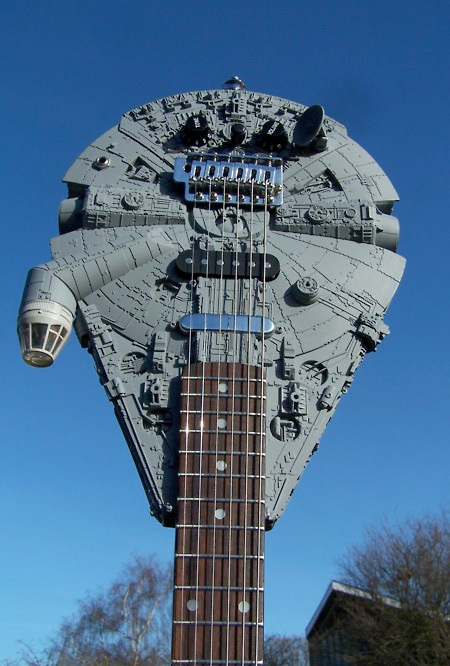 The radar dish on the Millennium Falcon is in the wrong spot. @Dustin – If they put the dish in the correct spot it would be in the way when you’re trying to play it. I think it was a better call to move it than to try to achieve 100% accuracy.